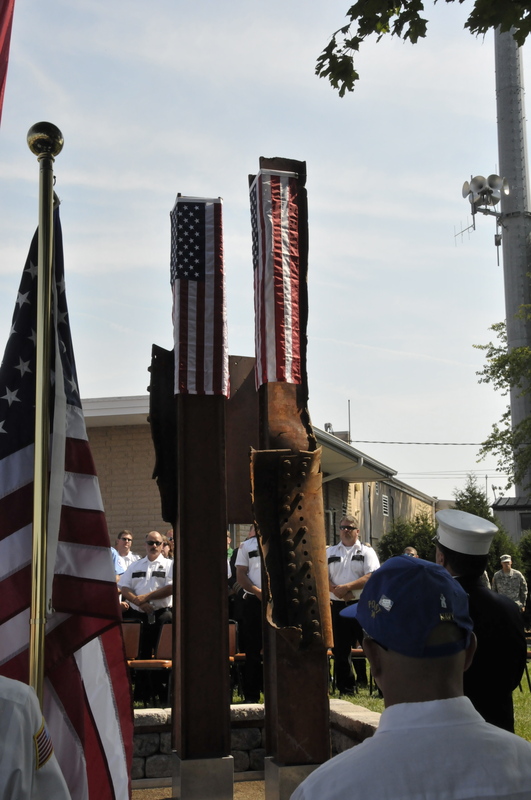 Two steel columns from the World Trade Center wreckage serve as the centerpiece of the Greenville 9/11 Memorial. Last week, after attending to many of the traditional “start of the school year” events and activities that typically launch a new academic year, this weekend held a very special, “once in a lifetime” kind of event. This event happened in the Town of Greenville, the place I call home, and a place where amazing people came together over the course of the last few months to create a beautiful and thoughtful memorial. This memorial is dedicated to the 2,977 civilians, firefighters, police officers, and emergency medical services personnel who lost their lives on September 11, 2001. The memorial also serves as a tribute to American veterans, active military personnel, and the service men and women who have given their lives in duty to our country. I was very pleased to represent Fox Valley Technical College at this incredible dedication ceremony. 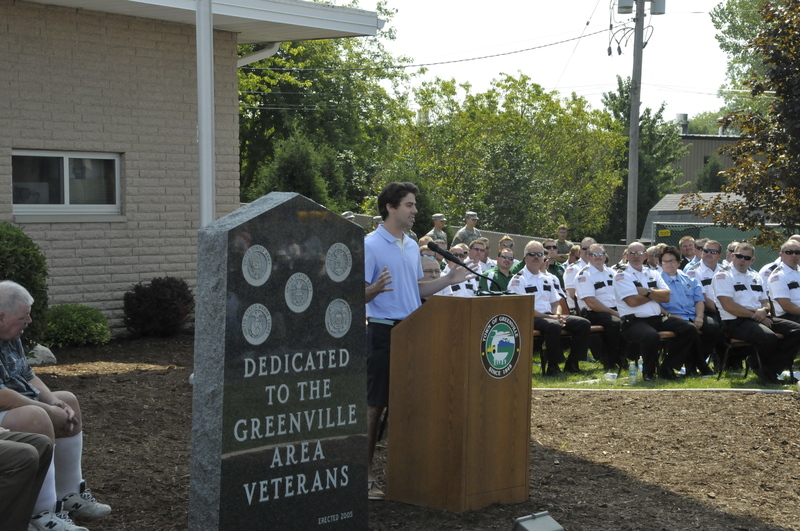 And I was so proud of the way our staff stepped forward to lead and assist in so many ways to help make this memorial a reality for the Greenville community. In particular, Jim Beard, an instructor and landscape architect in our Horticulture program, developed the design for this memorial and engaged students and staff in the landscaping work along with many community volunteers. Our custodial staff, our media relations staff, and many other staff also volunteered their time and talents to help. Luke Laidley, a 9/11 survivor, discussed how he and others escaped the burning south tower. It was just incredible to meet and hear from the speakers at this ceremony on Saturday morning, August 25. Walter Zerrenner is a Greenville resident who witnessed the first plane crashing into the North Tower of the World Trade Center that morning as he was aboard another flight landing in New York at that time. Lt. Joe Torrillo shared his incredible story as a member of the New York Fire Department who survived the collapse of the towers, was severely injured, and is now retired. And a young man by the name of Luke Laidley joined us for this event. On this date, he was starting his second day of work for Morgan Stanley as a fresh college graduate. He was on the 61st floor of the South Tower, which was just 16 floors below the crash site. His story of escaping this building was also incredible. There is much symbolism in the design of this memorial, from the two World Trade Center beams that stand towering out of the ground representing the two towers, to a pentagon-shaped pavement, and plantings that represent those who were lost that day. If you have a chance, please visit the Greenville Fire Department and take a look at this breath-taking memorial that was built with the hands and hearts of many good people.